Torrenting can make a lot of people’s life quite simple. After all, with the help of torrents, you can easily download all kinds of content; movies, TV shows, stand-up comedy shows, live shows, concerts, music videos and so much more- all for free! In fact with torrents, you are not just restricted to video, but can also download audiobooks, computer programs, ebooks; basically anything digital that you can think of! If you have never heard of torrents stay tuned as we’ll tell you about the best sites to use for torrenting online as well as some useful tools that you will need to use. Torrenting is very different to streaming so make sure you pay close attention. We’re also aware of the fact that security is a massive issue online right now; so we’re going to tell you how you can protect yourself. While torrenting is safer in some ways than streaming, in others it is massively more dangerous; so you really need to consider your security. If you’re one of those people who didn’t know what torrenting is then we’re happy to be the ones telling you all about. Think of it this way: you download files from the internet, right? Well, torrenting is another way of downloading. Only unlike the internet where you can simply download content from a single source or an affiliated third party, with torrent websites you don’t actually come across an original source. Instead, you receive bits of a file in parts called ‘packets’. The point of a packet is that it isn’t traceable. How? It’s quite simple. Each packet comes from a completely different network. No two packets sent will be from the same sender. This is why a lot of people prefer torrents- it’s impossible to be tracked down who’s sending what. Because of this, as you can imagine, it’s quite hard to trace the original source of a leak in the music, media or any industry for the matter, and as a result, you can view all sorts of contents for free. This is where torrents are “safer” as it’s a lot harder to determine exactly what you are doing online. It’s not completely safe though so to make it even safer I’d recommend a VPN which I’ll discuss in more detail below. In terms of the “unsafer” element – well that’s something I might not be able to help you with, but it is something you need to be aware of. You see, torrents sometimes are labeled somewhat deceivingly. Often you’ll find that a file you think you are downloading is not what you actually end up receiving. In the best case, it could simply be another movie with a similar title … perhaps the original instead of the remake. In the worst case though it could be a virus or malware so your best bet is reading the comments from other users and also using specific sites with better reputations. Torrenting means downloading and sharing. – Wait a minute! I’ll be sharing? – Yes. 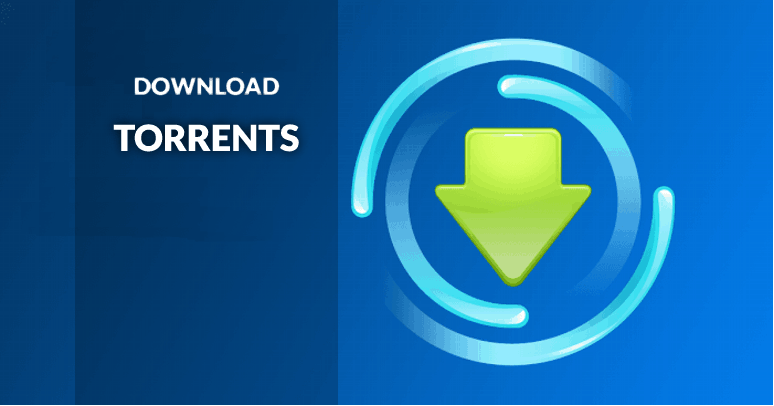 As mentioned before you are downloading packets (parts) of the intended files, but not only; also your torrent software/tool will be uploading those packets so other users can download it – thus, sharing it. While downloading copyright subjected files for own use may not be considered a real illegality, sharing it with others puts your head in the line. In fact, downloading or uploading packets using a Torrenting client doesn’t hide your Internet Identity (IP); thus any person sharing the same packets know the IP of the one sharing it with. Now imagine that some copyright or governmental agency is the partner you are sharing it with. Well you’d be in trouble, wouldn’t you? This is how torrent’s can be made even safer. While they distribute packets, by adding a VPN, you can make it impossible for anyone to track you. As you’ve probably guessed it, we recommend that you use a VPN service such as IPVanish in order to protect your identity online. These days those with malicious intents are becoming very clever when it comes to finding ways to access data. IPVanish will help you securely use torrents as well as keep your identity safe from such hackers. With its no-logging policy, IPVanish has a made a name for itself for providing users with maximum security. This is because it does not keep any track of whatever you do only. All that happens is that your data is filtered through IPVanish protection without it being recorded. Because of this, there is no way of anyone finding out what you searched or where you searched it from. In a way, you are virtually invisible online. We’ve used IPVanish for years with Kodi and it’s a VPN we recommend thoroughly when it comes to torrenting also. Check it out as we’ve managed to negotiate a special deal for our readers. How Can I Download Torrents? Now, that we’ve solved our privacy and security weaknesses, basically the answer to the question on How Can I Download Torrents is: by visiting Torrent Websites and by using Torrenting tools locally. As mentioned, here’s our list of the best torrenting websites which you can access easily. Answering the question on How Can I Download Torrents, our favorite Torrent Website is “The Pirate Bay”, or TPB for short, is the most popular torrenting website you could hope to find. This massive search-based platform is full of millions and millions of torrenting material such as movies, TV shows, cartoons, books, audios and so much more- all for free. 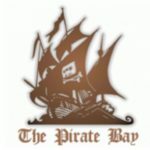 All you have to do is go to The Pirate Bay home page at “http://thepiratebay.org/” and search what you’re looking for. Results that match your request will be shown and you can check all of the available files and pick the one you like best. Of course when you try to access The Pirate Bay, you’ll find the site is blocked due to a judicial or administrative order. Of course you can unblock it by using a Good VPN like IPVanish. Also you may want to know more by visiting our article on How To Unblock Pirate Bay. Of course, if The Pirate Bay is mentioned, on this How Can I Download Torrents article, then it is very important that Zooqle is mentioned as well. This is because these two are often seen as competition for each other. Zooqle has almost all the same features as The Pirate Bay. However, where Zooqle prevails is the fact that, unlike The Pirate Bay, it has never been the subject of a shutdown or anything. In fact, Zooqle proves itself to be a failsafe against all attempts at making torrents illegal. If you live in a country which currently says that torrenting usage is illegal then we highly recommend that you use Zooqle because of the cloak of legality that covers it. Somehow, Zooqle’s team have managed to make this torrent shutdown-proof and that is very good, especially if you’re not sure whether your country approves of it or not. In any case you’ve better to use a Good VPN like IPVanish when accessing Zooqle website. When answering to the question on How Can I Download Torrents, another website also worthing to mention is the extremely popular 1337X.to which we absolutely recommend for beginners. This is a very simple torrenting website which you can use to begin your journey into torrenting. Its simple, search-engine style user interface helps to make it a popular choice among torrent users so don’t forget to download this one for sure! The 1337X is available at https://www.1337x.tw and, once again, use a Good VPN like IPVanish when accessing it. 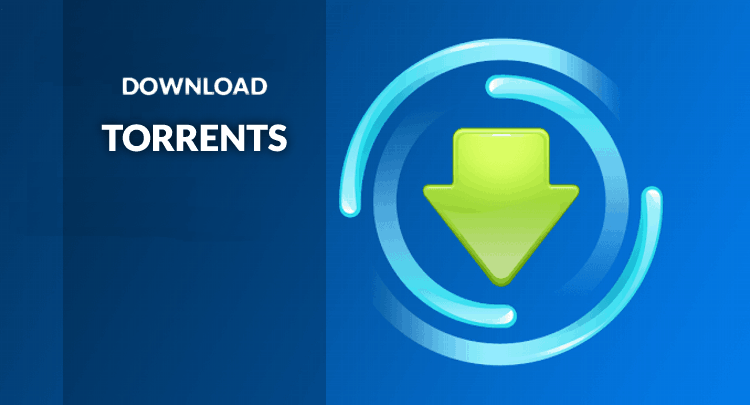 As part of the answer on How Can I Download Torrents question is important to say that, in some cases, your web browser will be all you will need to download a torrent file. If that’s not the case though, check out some of these torrenting tools. Probably one of the most popular torrenting tools online, uTorrent is tiny. With support for Windows, Mac and Linux uTorrent is really fast and simple to use. While uTorrent is small but mighty, Vuze is perhaps in parts the polar opposite. Vuze is huge and offers features that many (especially beginners) will probably never use. However, for power users, it’s the go-to product as it has every bell and whistle you could imagine. As you can see, it’s very easy for you to start downloading torrents- as long as you know which Torrent websites to go to & which torrenting tools to use. We strongly recommend that you use these websites not just because of their reputation but because they’re an easy way to torrent without worrying about getting caught with software which may land you in trouble. But because not all are legit torrents, sharing copyright files with others, and the torrent websites may be blocked on your area, you must use a Good VPN like IPVanish along with it to help in the process and secure yourself even more. Did we answer to your question on How Can I Download Torrents? If so, please share the answer with all your friends! Stay sharp, stay safe, on the right side of the law!